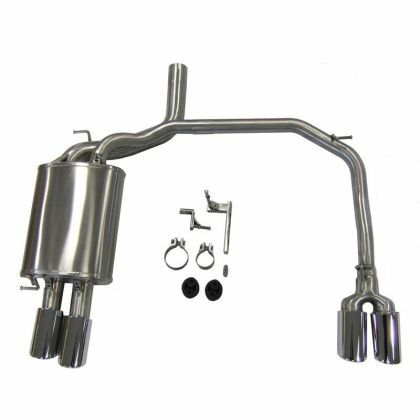 A brand new exhaust to Top Gear Tuning's range, this exceptionally well crafted catback system for the E60/E61 523i/530i is especially pleasing to the eye as well as to the ear, with a brilliant set of four chrome tailpipes that really make the car stand out. This kit is also ideal to get the sporty M5 look that really complements the 5 Series. Available at a special introductory price, we are extremely keen to get quality sound and video clips of this system and can reward this effort by our customers with a partial refund. Please note- this exhaust does fit the Touring model but the air compressor must be removed in order to fit it in some models.